*Authorized Medallion Dealer* DMV Kitchen and Bath Inc is a family owned and operated business serving the DC, MD and VA metropolitan areas. We are dedicated to providing professional service and work hard to ensure that our clients needs are being met on time and on budget. Collectively, our team has more than 25 years of experience in the business. We pride ourselves on having the ability to make our clients visions come to life with design ideas and execution. DMV Kitchen & Bath is a full service general contractor with a successful 25 year track record of commercial and residential projects. We provide superior general contracting and design / build services. 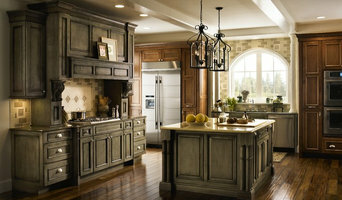 DMV Kitchen & Bath ensures a high quality finished product with flexible and attentive service at a competitive price. Most of our business comes from repeat clients and referrals. We invite you to request client referrals to get a good idea of what you can expect from DMV Kitchen & Bath. We’ve all been told “don’t sweat the small stuff” because that will take care of itself. At Malte Build, we think the exact opposite: There is no project or detail that is too small that doesn’t get our full attention! When you bring Malte Build onto your construction remodeling project you’ll be partnering with a team that has over 25 years of experience in the construction remodeling business. Because of that experience you can depend on Malte Build to know all the up-to-date building code regulations and zoning compliance laws. We take the hassle out of permitting and construction waste removal. Malte Build is also certified by the Leadership in Energy and Environmental Design (L.E.E.D) Accredited Professional organization in addition to the American Institute of Architects. What does that mean for your kitchen remodel? It means you’ll be working with experienced craftsmen, skilled laborers and exceptional architects who maintain the highest standard of professional qualifications. Our philosophy is simple: keep it cutting edge, keep it innovative and keep it green. We also like a lot of involvement from our customers. The only way we can insure that the job will get done right is if you are a full partner at every level of the project. We don’t just build your community, but we live here, too! Because of that we go out of our way to make sure all the homes, businesses and building we work on will have the Malte Build seal of approval. Our best promotion is your satisfaction. WINNER of the 2016 US Green Build Council Notable Project of the Year Award for the National Capitol Region. Galaxy Homes builds new residential properties and remodels existing homes in the Washington, DC area. We specialize in custom-made high-performance houses that maximize energy efficiency in the modern aesthetic. With more than 30 years of experience in residential construction, our repertoire continues to evolve to incorporate the latest technological advances and green building practices. Our emphasis on personalized attention above and beyond the expectations of our Galaxy homeowners reflects a cornerstone of how we do business. 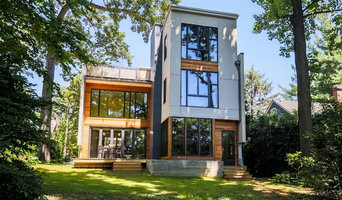 The Galaxy approach involves a highly collaborative process working closely to meet the needs our clients, balancing function and beauty, and sharing our passions for the unique places we call home. Kathy Tufts Beyond Design, Inc. Beyond Design Inc., an award winning full service design remodel firm is celebrating their 10-year anniversary! Kathy Tufts, designer and general contractor combines artistic creativity with comprehensive construction knowledge to bring you designs that fit personal style and budget. Their staff of talented trade professionals transform Kathy’s designs into your reality from start to finish. A dedicated contact keeps you informed as they manage the project and monitor progress within specific requirements. They worry about the details so you don’t have to. Kathy has years of experience in interior design and construction. She holds VA Class A and MD MHIC licenses and personally stays involved from start to finish. She is passionate about creating positive impact through solid designs and quality construction. Her finished projects speak volumes about the depth of her talent. Her love for creative design with her quest to extract clients’ personality to create designs just for you. Her solid understanding of construction only adds to the her success as she creates for you with an eye towards feasibility within budget. Individual clients' tastes, budgets and personal preferences are at the center of all related project decisions. Give us a call for your next project! We are a custom builder, working in the worlds of both residential and commercial construction, and we are passionate about our craft. Our job is not simply to build, but it is to listen, provide guidance, and find solutions. Builder is a title we don with pride. It captures our passion for distinctive architectural space and our expertise in solving an intricate puzzle. Our experience has equipped us well to handle projects of varying magnitude and complexity, from the renaissance of a distinctive century-old residence to the materialization of an innovative ground-up structure. Our objective is to understand the inspiration behind each decision and respond by crafting a space that reflects the vision flawlessly. Lofft Construction, Inc. is a leading design-build company serving the Washington metropolitan area. The firm specializes in residential and commercial building. Established in 2001 under the leadership and vision of our staff, Lofft benefits from 11 years of solid construction experience and has earned its place in the industry as a successful incorporation with 45 professionals. We collaborate with architects and owners to create unique, awarding winning, and nationally recognized residences. We are proud to have been part of the development of many of the region’s most notable public and privately owned buildings over the past years. The accomplishments of Lofft Construction, Inc. include: Construction of over 350 projects. Coty Awards of 2009,2011 and 2013, Client satisfaction guarantee, Mission Statement - To build and preserve long-term relationships with clients by providing the highest quality craftsmanship, best customer services and cost effective project completion. 45 employees. Winner of 2009, 2011 & 2013 NARI Coty Awards. Cost is determined by the job. No travel charges. No service charge. Extra charges for after hour’s service may apply. May contact through e-mail info@lofftconstruction.com. Our company, The HandyMensch, specializes in small to medium sized residential remodeling projects. This includes kitchens, bathrooms, basements and more. We also handle structural repairs that require evaluation by a structural engineer. Our small project services are a good fit when you have a multi-day list of projects that involve multiple trades. For example when you are getting your home ready for sale we can take care of paint, carpet, lights, fixture, flooring, wood rot and more. Our primary service area is Fairfax County, Arlington, and Alexandria but we do work outside of that area, in Northern Virginia, for larger projects. For more information about our company and to see a complete list of our services please see our website at www.handymensch.com or visit us at <a rel="nofollow" target="_blank" href="http://www.facebook.com/YourHandyMensch">http://www.facebook.com/YourHandyMensch</a> . 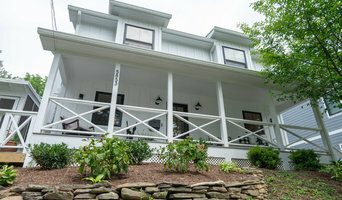 Vertex Carpentry is your all-in-one construction company for home remodeling or office remodeling needs. As artisans in carpentry, we believe that traditional care, precision joinery, flawless craftsmanship, and environmental responsibility is the key to providing continued client satisfaction for any home or commercial remodeling project. Whether it’s remodeling the basement, designing a new kitchen, or building a new bathroom, Vertex Carpentry is experienced and skilled in custom cabinetry, granite counter tops, ceramic tile, under cabinet lighting, painting and staining, crown molding, wainscoting, custom shelving, built-ins, flooring, drywall, and even plumbing fixtures. 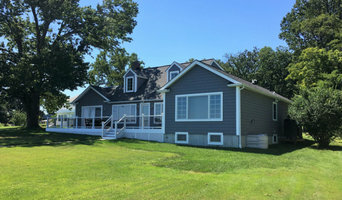 We offer a full set of exterior home improvements including vinyl siding, covered porches, roofs, replacement windows, overhangs, doorway repair, decks, handicap accessible walkways, columns, historic restorations, the complete construction of new homes, and most importantly listening to what your style and needs are to make your dream project come true. We are a residential construction and remodeling company serving the Washington DC and suburban areas, we are in the construction and remodeling business since 1988. We have experience in most types of repairs, remodeling, and construction including kitchen and bath, basement finishing, home additions, waterproofing, interior and exterior painting and much more. We believe that our work should speak for itself, therefore we treat your home as if it were our own with the respect, protection and a commitment to the absolute best quality craftsmanship. The best part of our job is working with our clients to bring their ideas to life. We are dedicated to your experience, so you can be certain that if something needs to be done, if there is a problem at hand - we will not stop until we've figured out the solution you're most satisfied with. We pride ourselves in working with integrity, and that is our commitment to you.